Ruark has long made high quality speakers that are very popular with people who shop at John Lewis. People who value craftsmanship, and consider a radio to be the most essential part of any audio package. Old people, is what I'm saying. 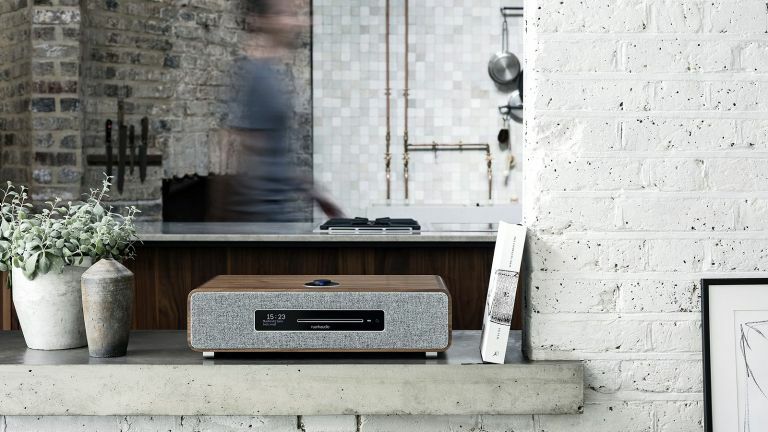 However, recently a new Ruark has been born that keeps the wooden cabinets and classic design elements, but adds some much more cutting-edge internal tech, including multi-room and streaming services. The pricing on the Ruark R5, its latest speaker, is a fair bit above Sonos and in line with the Naim Mu-so – which it also very slightly resembles – but my gosh, you get a lot for your money. A line out. What is this even for? Connecting a tape deck? That is way more stuff than what you get with Naim's perennial T3 favourite the Mu-so, or with any Sonos speaker we can think of. The only obvious shortcoming is that there is no support for either AirPlay or Chromecast, nor for Apple Music. That leaves iOS users having to rely on Bluetooth although really, AAC Bluetooth is perfectly adequate, sound-wise. For streaming, Ruark has taken a similar approach to how Sonos used to do it, with services delivered direct to the speaker, controlled by its Link app. Sonos has now modified that approach and also supports AirPlay 2 and Alexa voice control, but those were only added in the last year. Unlike Sonos, the R5 doesn't support every streaming service you've ever heard of, plus a number that you have not. It just goes for the ones that most people actually use (other than Apple Music). The sound, from what I've heard of it, is very much in line with Ruark's older speakers. It's not overtly bassy, although the dedicated subwoofer does ensure there's bottom-end presence. In fact in general, I'd say it's got quite a classical sound, with the class A/B amplifiers and 2.1 speaker array serving up something quite transparent and accurate. Since Ruark launched the R5 in a hotel bar full of well refreshed journalists, I'll have to get back to you with a definitive judgement on that one, though. The inclusion of aptX HD for 24bit high-res streaming is very impressive. Although there are not many aptX HD sources available yet, it's handy future-proofing. Shortly, this could make a perfect pair with Cambridge Audio's Alva TT aptX HD turntable, although there is also a proper, pre-amped turntable input on the R5 as well. The addition of an optical digital input means this could also make a very handy soundbar for your TV.